In the Footsteps of John Muir, an exhibit of photographic works by Ken Paterson, tracing Muir's travels, from his early days in Dunbar, Scotland to Yosemite, California, and allows one to see the environments which Muir loved and did so much to help preserve. 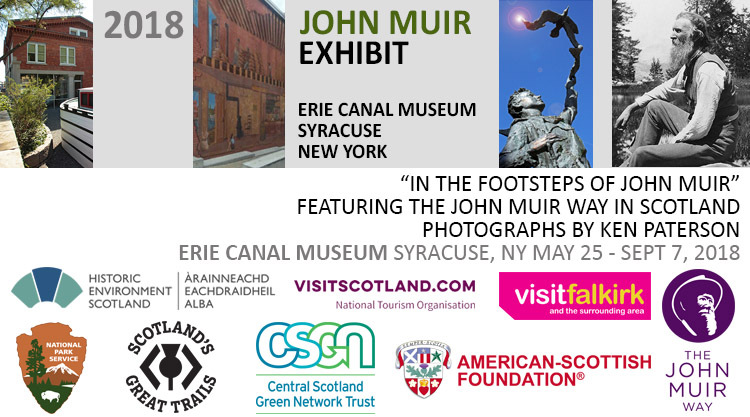 A A series of images featuring landmark sites along the John Muir Trail, Scotland, which opened in 2014, is now spotlighted in the exhibit. The exhibit was part of the National Centennial Celebration of National Parks. 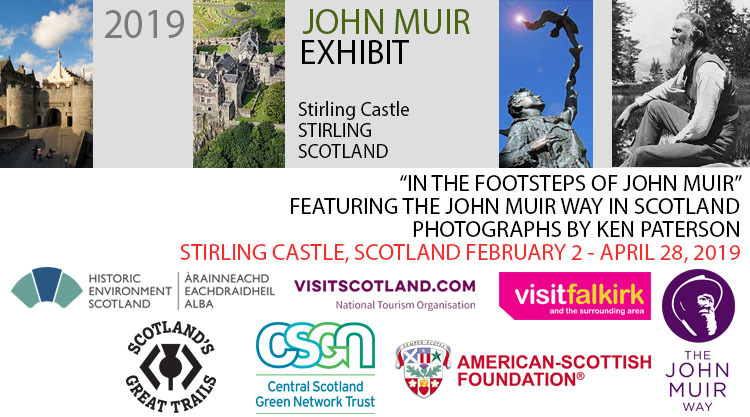 In 2018, the exhibit was expanded to include images from John Muir Way in Scotland. The 134 mile John Muir Way is regarded as one of Scotland’s Great Trails. The route stretches coast-to-coast between Helensburgh in the west, to John Muir’s birthplace in Dunbar on the east. Opened on John Muir Day, April 21st 2014, the route commemorates the great naturalist who died 100 years earlier, walking or cycling the John Muir Way, you will experience the countryside that Muir fell in love with. From hills, to beaches, along quiet canals and through tranquil woods bringing nature and heritage together. It is a historic journey that includes palaces, castles and the ancient Roman remains of the Antonine Wall, one of three UNESCO World Heritage Sites on the route. The John Muir Way showcases Scotland at its very best. 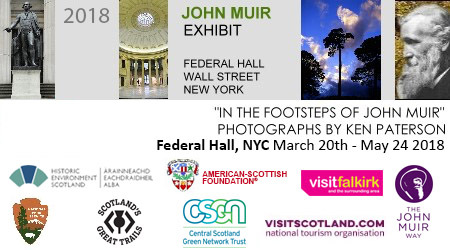 The John Muir National Historic Site & The American-Scottish Foundation® Presents In the Footsteps of John Muir An Exhibition and Talk by Scottish Photographer, Ken Paterson. (Martinez, CA) – The John Muir National Historic Site in Martinez, CA, features a new exhibit, In the Footsteps of John Muir, by Scottish photographer Ken Paterson. The exhibit is on display in one of the bedrooms of John Muir’s Victorian home. More. . . . In 2017, we are thrilled to once more have the opportunity to showcase the magnificent work of Scottish photographer Ken Paterson - this time on the West Coast - as he takes you on a journey into John Muir's world from Dunbar to Yosemite. Ken Paterson gave a talk on June 10. And John Muir's exhibit returned to Federal Hall, May 25 to July 25, 2017! In conjunction with the Franklin D. Roosevelt Presidential Library and Museum and the National Park Service, a 2016 exhibition ran through August and October 2016 at the FDR site in Hyde Park, New York. 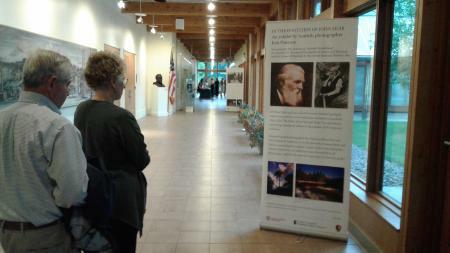 Visitors learned more about John Muir, the Scot who did so much to spearhead the formation of America's National Parks. The exhibit was part of the National Centennial Celebration of National Parks. Read the Official Press Release here. 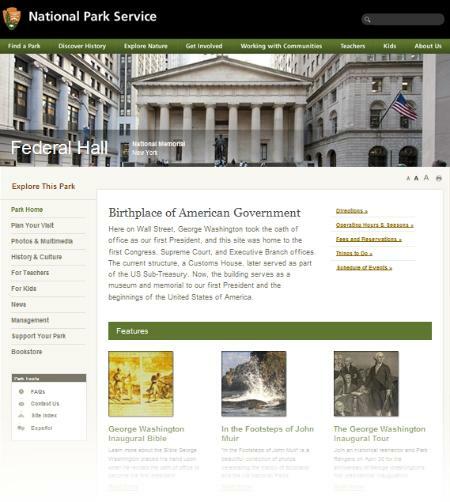 In conjunction with the National Park Service, another exhibition ran from April 18 to July 8 in Federal Hall, NYC. 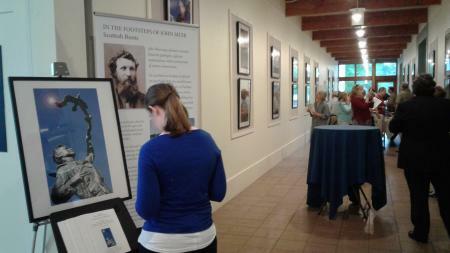 Visitors learned more about John Muir, the Scot who did so much for America's national parks. 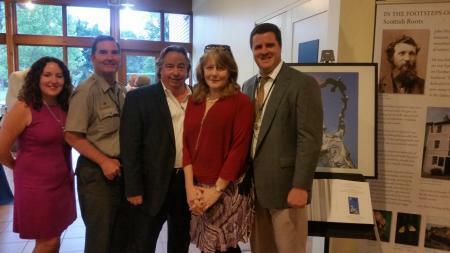 The exhibit was also part of the National Centennial Celebration of National Parks. In the Year of Homecoming 2014, the celebration of John Muir was extended with the Festival of John Muir beginning the Homecoming Celebrations in April in Scotland. 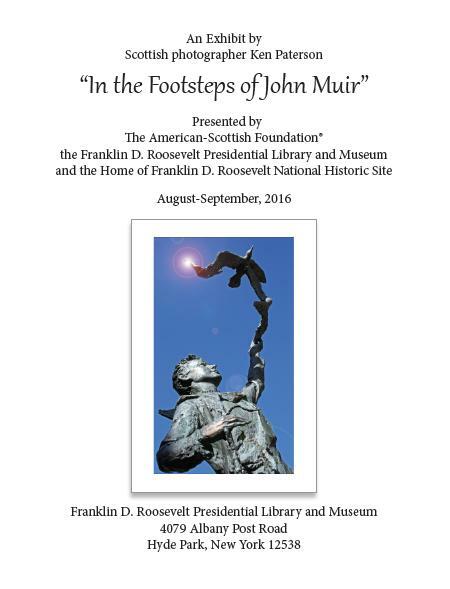 In 2014 "In the Footsteps of John Muir" went on tour. ASF, working with the National Capital Tartan Day Committee, presented the exhibit at the Arts Club, Washington DC from April 15-28, 2014. From Washington DC the exhibit moved to Chicago where it was shown in conjunction with the Chicago Scots. Scotland celebrated The Year of Natural Scotland in 2013, and as part of Scotland Tartan Week 2013, ASF hosted a photographic exhibition "In The Footsteps of John Muir" by renowned Scottish photographer Ken Paterson. The exhibit traces Muir's early days in Dunbar, Scotland to his love of Yosemite, allowing one to see the enviroment Muir loved and did so much to help preserve. Presented in conjunction with the National Park Service, it was open to the public for viewing from April 3-26, 2013. 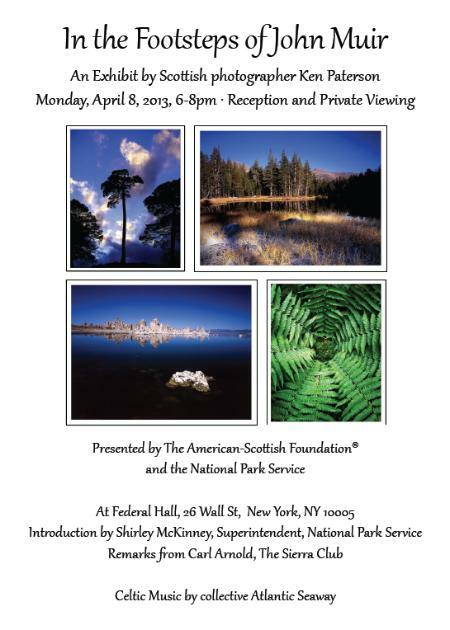 As part of Scotland Tartan Week 2013, the Year of Natural Scotland, the exhibit in New York also celebrated the 175th Anniversary of the birth of John Muir on April 21, and Earth Day on April 22. In honor of Earth Week (April 21-25), Federal Hall showed the documentary film "John Muir In The New World" - honoring too John Muir's birthday. 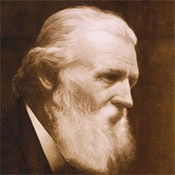 John Muir (April 21, 1838–December 24, 1914) is today referred to as the “Father of the National Parks". Ken Paterson's images are now available to buy online here: kenpaterson.smugmug.com. They can be shipped anywhere in the world, and each time you buy a print, a donation will be made to the American-Scottish Foundation. The exhibit "In the Footsteps of John Muir" at Federal Hall National Memorial. Scottish photographer Ken Paterson brings thirty beautiful images of both his native land and America's most amazing places to Federal Hall in honor of several anniversaries. April 21, 2013 would have been the 175th birthday of John Muir, one of America's most important conservationists and the man often called the "Father of the National Parks." 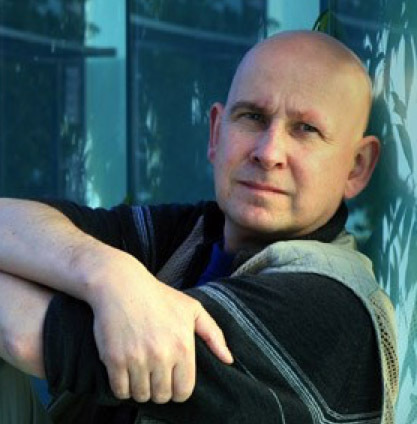 Born in Dunbar, Scotland, Muir immigrated to America with his family when he was a boy. Additionally, April 6 marks Tartan Day, the anniversary of the signing of the Declaration of Arbroath, the Scottish Declaration of Independence.